Our website has been designed with you, the retailer in mind, providing retail information that you can present to your customers. Our store locator puts you at the forefront of our customer’s minds. 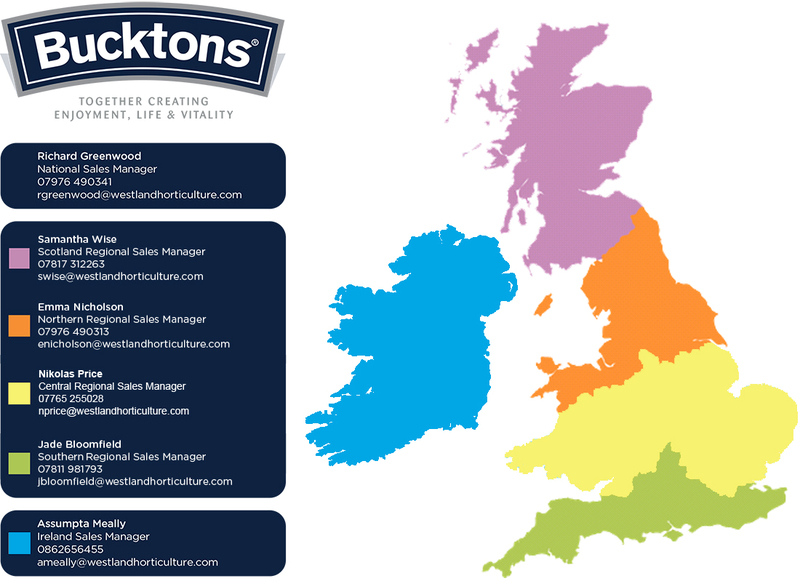 If you are interested in becoming a Bucktons stockist or would like further information about our products, please click on the map below for the contact details of the Bucktons Territory Manager for your area. Simply email info@bucktons.co.uk to request your pet bird ‘Danger Food’ postcards. Our product brochure is available in PDF format for download.